The native form of this personal name is Osvárt Andrea. This article uses Western name order when mentioning individuals. Andrea Klára Osvárt (born 25 April 1979) is a Hungarian actress, film producer, and former fashion model. Hungary is a country in Central Europe. Spanning 93,030 square kilometres (35,920 sq mi) in the Carpathian Basin, it borders Slovakia to the north, Ukraine to the northeast, Austria to the northwest, Romania to the east, Serbia to the south, Croatia to the southwest, and Slovenia to the west. With about 10 million inhabitants, Hungary is a medium-sized member state of the European Union. The official language is Hungarian, which is the most widely spoken Uralic language in the world. Hungary's capital and its largest city and metropolis is Budapest. Other major urban areas include Debrecen, Szeged, Miskolc, Pécs and Győr. Budapest is the capital and the most populous city of Hungary, and the tenth-largest city in the European Union by population within city limits. The city had an estimated population of 1,752,704 in 2016 distributed over a land area of about 525 square kilometres. Budapest is both a city and county, and forms the centre of the Budapest metropolitan area, which has an area of 7,626 square kilometres and a population of 3,303,786, comprising 33 percent of the population of Hungary. Tamási is a town in Tolna County, Hungary. Zoltán Kodály was a Hungarian composer, ethnomusicologist, pedagogue, linguist, and philosopher. He is well known internationally as the creator of the Kodály Method. She began modeling at the age of 16 and subsequently came second in the Hungarian "Look of the Year" competition in 1996. She moved to Budapest and began modeling professionally in Europe, Asia, and North America. She has also made more than 30 television commercials. Spy Game is a 2001 American spy film directed by Tony Scott and starring Robert Redford and Brad Pitt. The film grossed $62 million in the United States and $143 million worldwide and received mostly positive reviews from film critics. 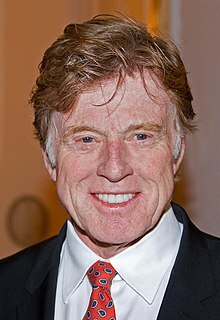 Charles Robert Redford Jr. is a retired American actor, director, producer, and businessman. 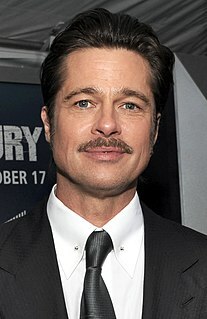 He is the founder of the Sundance Film Festival. The 91st Academy Awards ceremony, presented by the Academy of Motion Picture Arts and Sciences (AMPAS), honored the best films of 2018, and took place at the Dolby Theatre in Hollywood, Los Angeles, California. The ceremony was held on February 24, 2019. During the ceremony, AMPAS presented Academy Awards in 24 categories. The ceremony was televised in the United States by the American Broadcasting Company (ABC), produced by Donna Gigliotti and Glenn Weiss, with Weiss also serving as director. It was the first ceremony in three decades, since the 61st Academy Awards in 1989, to be conducted with no host. The Sanremo Music Festival 2008 was the 58th Sanremo Music Festival, held at the Teatro Ariston in Sanremo. The first and the second night of the show were held on 25 and 26 February 2008, while the last three nights were held from 28 February and 1 March 2008. Giuseppe Baudo, known as Pippo Baudo, is one of the most famous Italian television presenters. He is often referred to as "Superpippo". Baudo has also been the artistic director and president of Teatro Stabile di Catania. Piero Chiambretti is an Italian television presenter. Jessica Phyllis Lange /læŋ/ is an American actress. She is the thirteenth actress in history to achieve the Triple Crown of Acting, winning two Academy Awards, three Primetime Emmy Awards, one Tony Award and five Golden Globe Awards. Additionally, she is the second actress in history to win the Academy Award for Best Actress after winning the Academy Award for Best Supporting Actress; the third actress and first performer since 1943 to receive two Oscar nominations within the same year; the fifth actress and ninth performer to win Oscars in both the lead and supporting acting categories; and is tied as the sixth most Oscar-nominated actress in history. She is the only performer ever to win Primetime Emmy Awards in both the supporting and lead acting categories for the same miniseries. Lange has also garnered one Screen Actors Guild Award, one Critics Choice Award and three Dorian Awards, making her the most honored actress by the Gay and Lesbian Entertainment Critics Association. In 1998, Entertainment Weekly listed Lange among the 25 Greatest Actresses of the 1990s. In 2014, Lange was scheduled to receive a star on The Hollywood Walk of Fame, though she has yet to claim it. Catherine Elise Blanchett, is an Australian actress and theatre director. She has received many accolades, including two Academy Awards, three Golden Globe Awards, and three BAFTA Awards. Time named her one of the 100 most influential people in the world in 2007, and in 2018, she was ranked among the highest-paid actresses in the world. Diahann Carroll is an American actress, singer and model. She rose to stardom in performances in some of the earliest major studio films to feature black casts, including Carmen Jones in 1954 and Porgy and Bess in 1959. In 1962, Carroll won a Tony Award for best actress, a first for a black woman, for her role in the Broadway musical No Strings. Estelle Louise Fletcher, known professionally as Louise Fletcher, is an American actress. 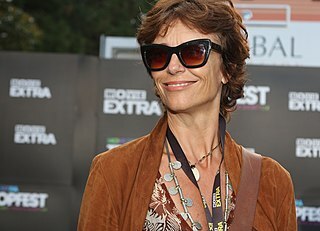 Rachel Claire Ward, is an English-born Australian actress, film director, television director, and screenwriter. Connie Sellecca is an American actress, producer, and former model, best known for her roles on the television series Flying High, The Greatest American Hero and Hotel, for which she was nominated for a Golden Globe Award for Best Actress – Television Series Drama in 1987. Melissa Chessington Leo is an American actress. Susanna "Susan" Kohner is an American former actress who worked in film and television. She is best known for her role as Sarah Jane in Imitation of Life (1959), for which she was nominated for an Oscar and won a Golden Globe award. She played a mixed-race African-American woman who "passed" for white as a young adult. Amy Marie Madigan is an American actress, producer, and singer. She was nominated for the Academy Award for Best Supporting Actress for the 1985 film Twice in a Lifetime. Her other film credits include Love Child (1982), Places in the Heart (1984), Field of Dreams (1989), Uncle Buck (1989), The Dark Half (1993), Pollock (2000), and Gone Baby Gone (2007). Madigan won the Golden Globe Award for Best Supporting Actress on Television and was nominated for the Primetime Emmy Award for Outstanding Lead Actress in a Miniseries or a Movie for her portrayal of Sarah Weddington in the 1989 television film Roe vs. Wade. Kathleen Denise Quinlan is an American film and television actress. She received a Best Actress Golden Globe nomination for the 1977 film I Never Promised You a Rose Garden and a Best Supporting Actress Academy Award nomination for her role in the 1995 film Apollo 13. Her other film appearances include Airport '77 (1977), The Promise (1979), The Runner Stumbles (1979), Sunday Lovers (1980), Sunset (1988), Clara's Heart (1988), The Doors (1991), Breakdown (1997), and Breach (2007). Romola Sadie Garai is a British film and television actress. She appeared in Amazing Grace, Atonement, and Glorious 39, and in the BBC series Emma, The Hour and The Crimson Petal and the White. She has been nominated for a Golden Globe Award twice and for a BAFTA award. Tessie Jean "Tess" Harper is an American actress. She was nominated for the Golden Globe Award for Best Supporting Actress for her first film role in 1983's Tender Mercies, and for the Academy Award for Best Supporting Actress for the 1986 film Crimes of the Heart. 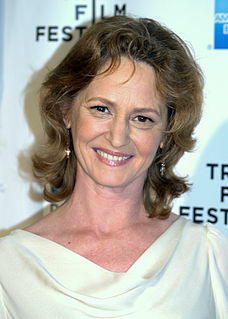 Her other film appearances include Flashpoint (1984), Ishtar (1987), Far North (1988), and No Country for Old Men (2007). She also had a recurring role on the first three seasons of Breaking Bad (2008–10). 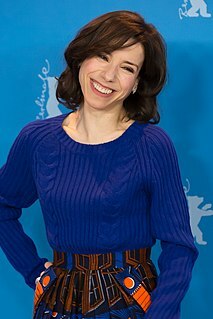 Sally Cecilia Hawkins is an English actress. Her first major role was in Mike Leigh's All or Nothing in 2002. She continued working with Leigh, appearing in a supporting role in Vera Drake (2004) and taking the lead in Happy-Go-Lucky (2008), for which she won several awards, including the Golden Globe Award for Best Actress in a Motion Picture – Musical or Comedy and the Silver Bear for Best Actress. Viola Davis is an American actress and producer. She is the recipient of several awards, and is the first black actor to have won an Academy Award, an Emmy Award, and a Tony Award in acting, named the Triple Crown of Acting. 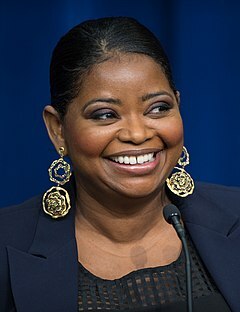 Octavia Lenora Spencer is an American actress, author, and film producer. She is the recipient of several accolades, including an Academy Award, a British Academy Film Award, and a Golden Globe Award. She is one of two black actresses to have received three Academy Award nominations, alongside Viola Davis. Lotte Verbeek is a Dutch actress, dancer and model. She is best known for her role as Giulia Farnese in The Borgias television series created by Neil Jordan, and as Geillis Duncan in the Starz series Outlander. Eszter Tamási was a Hungarian actress and TV announcer. Caitríona Balfe is an Irish actress and former model. She is best known for her role as Claire Fraser in the Starz drama series Outlander, for which she has won two People's Choice Awards, two Saturn Awards, an Irish Film and Television Award and has received four Golden Globe Award nominations for Best Actress – Television Series Drama. Wikimedia Commons has media related to Andrea Osvárt .